I decided to look back through my blog posts of 2012 and pull together a few standout recipes that I will definitely be making again and again. First up is this somewhat unusual spring appetizer that I made with some of our delicious local strawberries. I can’t wait til next spring when I’ll be able to make this Strawberry Bruschetta with Balsamic Vinegar and Basil again. This Creamy Coleslaw with Bacon and Blue Cheese has been a favorite for years and I’m really glad that I finally shared the recipe with you this year. 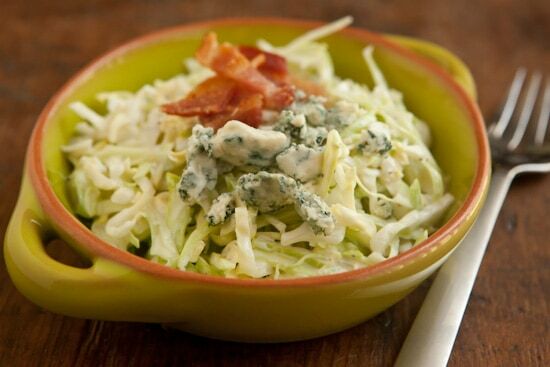 If you’ve never stirred crumbled blue cheese and bacon into a creamy coleslaw, you have really been missing out! 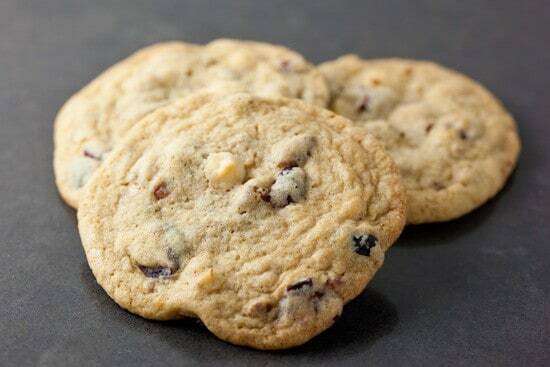 I think these Cranberry, White Chocolate, and Pecan Cookies are seriously the best cookies I’ve made in years. I haven’t stopped thinking about them and currently have all the ingredients on hand so I can make another batch to take to my grandparents. 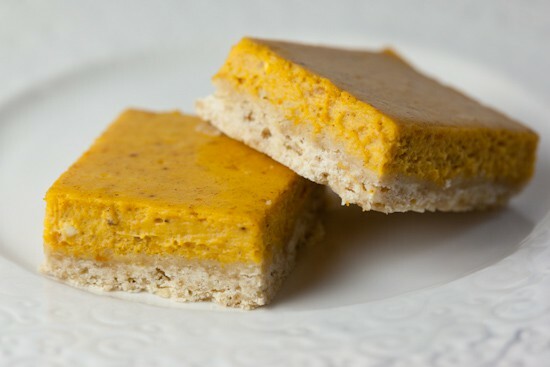 Last, but certainly not least, are these Pumpkin Cheesecake Bars with Brown Sugar Shortbread Crust. This is by far my favorite recipe of the year and I’ve already made them a few times. My grandmother actually requested that I make these instead of a traditional pumpkin pie for Thanksgiving and no one seemed to notice the missing pie. They are easy to make and absolutely delicious. Happy new year, everyone. I look forward to sharing lots more recipes once I get moved into my brand new kitchen next year! The pumpkin bars look so delicious! That coleslaw looks amazing--when we go to Traverse City, MI in the summers we have a favorite little deli that sells blue cheese coleslaw and it is to die for. Definitely trying yours out! Happy New Year! Yum! I have made the strawberry bruschetta and it is wonderful. A nice change from the usual! A delicious recipe for 2012, with Everclear® alcohol, Blue Curacao liqueur, orange juice and grenadine syrup. Also lists similar drink recipes. I always feel like when i put together these types of lists on my blog, it's a cop out. But really, it's such a great way for readers to be reminded of some really great recipes! This post has me looking forward to summer for strawberries and coleslaw, and I love the idea of a brown sugar shortbread crust. Besides pumpkin, I bet it would go great with berries too. Wow. Stunning pictures. Strawberry bruschetta is definitely gorgeous. Thank You for sharing. Love them all, but I will definitely keep the pumpkin bars in mind this fall. I love bars, and so do my readers. Thanks for sharing your version. I like it because it appears to be very moist compared the Kraft recipe, yet it calls for much less sugar. Perfecto! Anything on Bruschetta is the perfect appetizer for me. Easy to make and yummy, looking forward to trying the recipe you mentioned in your top picks. This blog was very helpful towards healthy eating and staying fit, Thank you. Thank you for sharing this recipes. I never taste this. But after read this blog sure will try it within some days. Waiting for more information regarding food & cuisine. 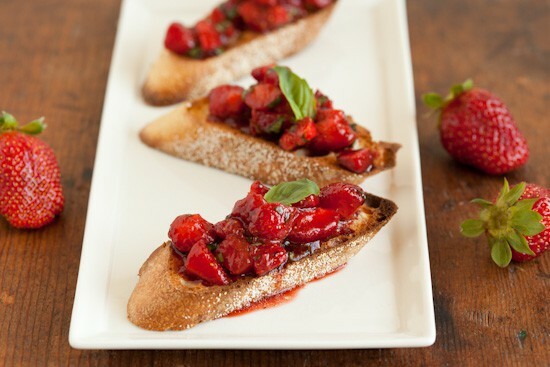 Strawberry bruschetta with Balsamic Vinegar looks very appealing. I wonder what would it taste if i put mango instead? They all look great! Nice pictures and some good ideas here. I like how this promotes healthy eating and the benefits of a good, balanced diet. I doesn't have to be bleak, just look at the pictures and you'll see that! Nicole, I am a daily checker of this website and enjoy everything you write (and cook). I am hoping your absence means you are deeply involved in something wonderful - classes in Tuxedo Park or strolling the foodie stalls in Paris. Come back soon. I found this great recipe for Paella online, but since it was written by a Spaniard - measurements were in the Metric system but here in the US we use the imperial system - Found this app on the Apple App Store “My Pinche” for only $1.99. It not only helped me convert units, the recipe scaler feature was great. The recipe was for 20, but I cooked for 10 guests – Nice! I did not have to eat Paella for an entire week after the party. Plus the app also has an ingredient dictionary. I wasn’t sure how to buy the Azafran, but learned that in English it’s called Saffron, so when buying the ingredients I sounded as if I really knew my ingredients! I found the Strawberry Bruschetta with Balsamic Vinegar and Basil a while back. It has been a family favorite since then. I've also given to dinner guests - most leave with the recipe! Great site by the way. Thanks. Are you coming back? I check regularly, but nothing for such a long time.... this has been my favourtie food blog for years and I miss you! Would definitely add goat cheese to that strawberry bruschetta, it looks amazing! I am discovering how wonderful basil and strawberries are together.